LSE’s Jonathan Silver calls Michael Deibert’s book an “essential read” for those interested in wider postcolonial worlds. Early in 2003 when the world’s attention was focused on the unfolding calamity of the Iraq invasion, another deadly conflict was occurring in the Democratic Republic of Congo (DRC). I was in south west Uganda watching with trepidation as a constant flow of Ugandan army vehicles streamed across the border from Ituri province after the strategically important town of Bunia had been captured a few months earlier by the Uganda’s People’s Defense Force. Along with the ubiquitous UN white trucks of the UN’s MONUSCO, the amounts of transportation of men, goods and weaponry gave just an inkling of the epic scale of conflict and resource extraction that was taking place at the time in eastern DRC and I was somewhat ashamed about how little I knew about such a devastating episode in Africa’s history. That feeling stayed with me through the last months of the Second Congo War (1998-2003) and the subsequent low-intensity series of ongoing conflicts, disputes, peace deals and oscillating tensions culminating in the recent emergence of the Mouvement du 23 Mars (M23) militia. Anyone who, like me, is looking to gain a better understanding of this part of central Africa would do well to read journalist Michael Deibert’s passionate dissection of the geographies of war and peace in the DRC. The book is divided into ten chapters which provide a contemporary account of the country anchored in historical detail, following the country from pre-colonial times through to the postcolonial era and the rule of Mobutu as the country fragmented, revealing in excruciating detail the suppression and all-out civil conflict that have characterised the country. Deibert begins the book with a prologue that takes the reader directly into Ituri province and what he describes as the “killing fields” as he walks through the “chest-high grass” of this region, documenting the terrorisation of ordinary Congolese in Bogoro in February 2003. This opening is both haunting and moving, as he chooses not to begin with the assorted political actors in the country but rather with the harrowing experiences of farmers such as Mathieu Nyakufa, as over 200 civilians were murdered by the Forces de Resistance Patriotique d’Ituri (FRPI). The main part of the book opens with a short but interesting snapshot of pre-colonial society, particularly the Kingdom of Kongo where Mwene Kongo ruled a highly centralised state and many other “state-like entities” that extended across the vast territory now known as the DRC. So often the history of this huge country and its many grand and noble traditions (as well as African states more generally) begins with the arrival of Europeans, as if hundreds of years of civilisation meant nothing until the missionaries, slave traders and imperial explorers landed on the shore. Although Deibert provides this brief introduction, the book soon moves to the moment the Portuguese explorer Diogo Cao arrived in 1482 and as such seems to reflect these wider traditions of writing Africa. Familiar history is covered in the form of explorer Henry Morton Stanley as he finds a European King in Leopold of Belgium, desperate to create his own empire (and the plunder that would go with it). Deibert shows how Stanley set about the brutal suppression of the Congo and establishing natural resource extraction on a scale that continues to the present day in various forms. As the author notes, this “remains one of history’s great crimes” (page 14). Interestingly he hints at the pathological nature of Leopold through him being “the product of an ice-cold relationship with his mother and father” Such horrors would not only draw denunciations by Victorian reformers (Doyle, 1909) but, as the author makes clear, Leopold’s rule would set a precedent that would continue far into the future. His way of governing would certainly be mirrored in the 32-year rule of Congo by Joseph-Desire Mobutu after his 1965 coup. His attempts to draw in both Communist and Western backers, his divide and rule governance and “a cult of personality to rival anything Africa had seen before or since” are brought to the attention of the reader as further causes of the contemporary conflicts that have divided the country and its people. After the brief (at under 50 pages) but comprehensive history of the country up to the beginning of the Rwandan genocide in 1994, the remaining chapters of the book focus on the recent history of DRC, the Great Congo Wars and the echoes that continue to reverberate across the region from these momentous events. It is these seven chapters that perhaps offer the greatest contribution to understanding the country. In these pages the author provides a tour de force of detailed journalistic analysis, revealing the multiple causes of the conflicts that began with the fleeing genocidaires and subsequent actions of the Rwandan leader Paul Kagame in destroying Hutu camps and undertaking an invasion. Setting in train a brutal war that would draw in not just Rwanda but neighbouring Uganda (and later various African states) newly formed militias were supported to fight proxy conflicts and steal the abundant resources of the area to fund these escapades. It is during this time that the author reveals the acquiescence of the West through figures such as Madeline Albright (Clinton’s Secretary of State at the time) who praised “Africa’s best new leaders” and thus condemning eastern Congo to continued foreign and catastrophic influence. The author shows how DRC has been cynically used by its neighbours. The authoritarian leaderships of neighbouring countries such as Rwanda and Uganda are clearly implicated in Deibert’s dissection of competing powers. As the author shows, this has been central to the problems of the eastern DRC over the last 20 years during which the country has been plundered by several surrounding countries, using vast territories as a space to project expansionist inclinations, make a corrupt set of autocratic governments rich and hinder any chance of lasting peace. The role of older powers such as France and Belgium together with new international actors such as China reveals that huge reserves of diamonds, gold, timber continue to draw the attention of foreign governments near and far who are prepared to ignore the human rights of the Congolese people in order to secure these natural resources. The analysis of the role of the then young president Joseph Kabila, who took power in 2001 is another key contribution of the book. The author offers a balanced and comprehensive analysis of Kabila’s role in both struggling to contain, yet also contributing to the continuing fracturing of eastern DRC into a diverse geography of various bands of foreign and domestically funded armed forces that he terms in chapter 10 ‘rebellion after rebellion’. Deibert’s forensic investigation reveals Kabila’s increasingly authoritarian rule since coming to power. Such an analysis shows the problems posed by governing such a huge geographic space and the competing interests that criss-cross the country. As later chapters reveal, these areas have often been governed or taken over by leaders indicted by the ICC, such as Bosco Ntaganda and Jean-Pierre Bembawho have been prepared to use brutal strategies of force to challenge Kabila’s grip on the country and its resources. Indeed the list of abbreviations of different groups at the beginning of the book reflect this staggering mosaic of actors and groups across the country. The book does well in steering clear of the Conradian echoes of travels into the heart of darkness which characterise many contemporary and not so contemporary Western accounts (Burton, 1961, Stanley 1878, 1890) of the country that have perpetuated representations of the Congo, drawing rightful scorn from postcolonial scholars (Mbembe, 1978, Mudimbe, 1988). As Jarosz (1992:106) argues, “the metaphor of the Dark Continent has shown remarkable tenacity in a variety of Western idioms spanning the last hundred years of human geography in the Western tradition”. Heroic accounts of Euro-American travels into these spaces, seemingly off the map of civilisation, offer little for readers seeking to learn more about the DRC without being able to speak French and therefore unable to read the Congolese view of their own history. As a result, Deibert’s exhaustive documentation of the complex and shifting relationships between politicians, warlords, donors, vulnerable communities, neighbouring states and a plethora of shifting actors provide an important and timely contribution in which to understand the political geography of DRC. Yet the reader would do well to note that even such an impressive account is open to Chatterjee’s (1994: 216) insistence that, ‘‘Europe and the Americas, the only true subjects of history, have thought out on our behalf not only the script of colonial enlightenment and exploitation, but also our anti-colonial resistance and post-colonial misery”. While this reflection should not stop readers opening the pages to this fantastic text, it should be something to consider as the reader progresses through the book. 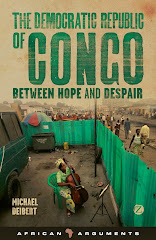 This is not just a book about the DRC or even contemporary Africa as the cover purports. Instead it is an essential read for those of us interested in wider postcolonial worlds and the historical fragments of local, regional and global contexts that intersect and link huge parts of the planet together. 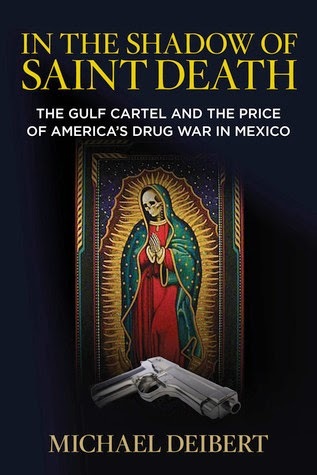 The book makes clear the role of the West in cynically using the country, the exploitation of the almost unparalleled natural resources by fellow African countries, global corporations and conniving governments. Such analysis should not prompt us to recoil in horror or paralysis about the scale of crimes that continue to take place across eastern DRC, or brush aside as another episode in the seemingly chaotic and cruel post-independence period of many former colonies. Instead as he travels across DRC, Deibert’s work brings to light the often disabling hangover of colonialism and the issues of governance, war and peace that unfold in countries such as DRC as a result. 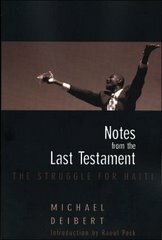 Mbembe (2001:102) argues for the need to reflect on “the political, cultural and economic realities of societies living with the legacies and in the aftermath of colonialism” and the book can certainly be praised for such a task, showing us how we can follow the threads of colonial rule into contemporary accounts. Deibert succeeds in documenting the travails of the ordinary people of the DRC and the impact that these conflicts have had on them, not just through numbers of dead, displaced or raped but through the stories of individuals, allowing the voices of those most affected to speak directly to the reader. Such writing should be a reminder to those of us who write about postcolonial worlds to focus beyond the dominant characters and the big men (and it is nearly always men) of history to uncover how these wider political forces unfold across the everyday lives of populations. Considering the subtitle of the book, ‘Between hope and despair’ I found the book to be a little disappointing in Deibert’s treatment of hope and the ways the Congolese people have managed to not just get by but get on, navigate the shifting complexities of life and dream of a better future in the face of often almost insurmountable odds. Given the complexity of the DRC’s political geography and the extraordinary achievement in mapping these endless and shifting configurations, perhaps this was not the book in which to explore these everyday tales with which I have become familiar through urban accounts of Kinshasa by Frank De Boeck (2004, 2011). Still, as Deibert suggests, these ordinary Congolese “carry within themselves the idea of a nation, a nation stitched together out of a patchwork of tribal kingdoms that was never meant to be one but that has persisted” and which offers a vestige of hope in the future of the nation. The book makes clear that describing contemporary DRC merely as nothing more than a modern heart of darkness is inadequate and anchored in colonial representations of Africa. It therefore joins a number of important recent texts such as Hochschilds (2012), Prunier (2011) and Stearns (2011) that help us better understand this colossal country without recourse to crude representations, instead relying on extensive research, understanding and empathy. This powerful account forces scholars and other readers to stare sombrely into the postcolonial mirror and reflect not just on the role of our countries in such tragedy but our own ways of writing, knowing and representing the continent that can inform research far beyond the borders of the DRC. Over the course of early December the M23 was militarily defeated with the leaders and 1500 soldiers crossing over the Ugandan border to surrender after the Congolese army, and crucially a change in the rules of engagement for the MONUSCO intervention force shifted the military balance. Yet with the far from magnanimous Kinshasa government and the M23 agreeing a shaky peace agreement, signed on 12 December, together with reports of activities by other militias, including the M-18, there is still much caution about whether this can be a comprehensive peace for which many in the region are now hoping. Given the history of eastern DRC dissected so well in this book I, like the author and the millions of people in Ituri, the Kivus and the wider DRC can only draw hope for the future. Mbembe, C (1978) Research in African Literatures, Vol. 9, No. 1, Special Issue on Literary Criticism. (Spring, 1978), pp. 1-15. Mbembe, A. (2001) On the Postcolony. Berkeley, CA: University of California Press.